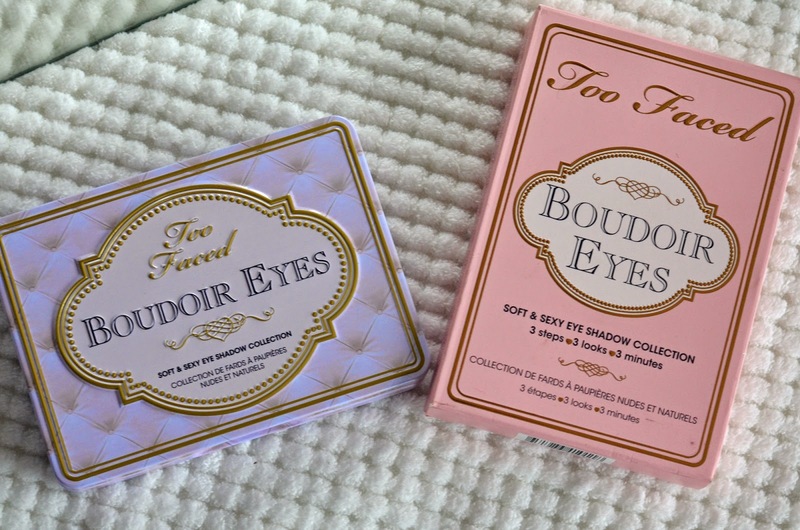 I don't know what it was about Too Faced eyeshadow palettes, but I never really paid them a second (or even first) thought when perusing the pretty, product-laden aisles at Sephora. Maybe it was because I had never heard much hype or buzz about any of their products aside from their Shadow Insurance, which ended up being a dud for me... You know, bad name association or something like that. Anyway. 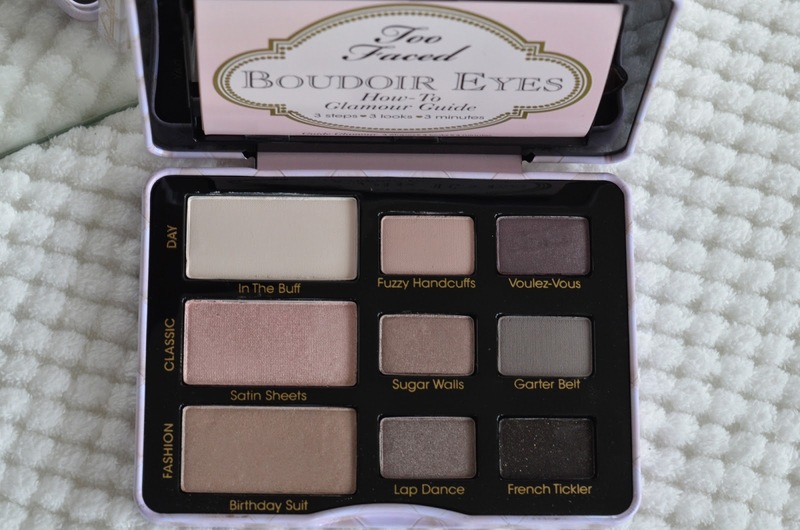 This obviously isn't the case anymore because here I am, declaring this Too Faced Boudoir Eyes palette to be one of my all-time favourites. Who am I!? I bought this after the Sephora makeup artist used it on me during the VIB Spring Social. I had asked her to do a day-time smokey eye on me, and she told me she was going to get one of her favourite palettes and hurried off. I was expecting her to come rushing back with a Naked palette or two, but nope, here she was with a Too Faced palette. 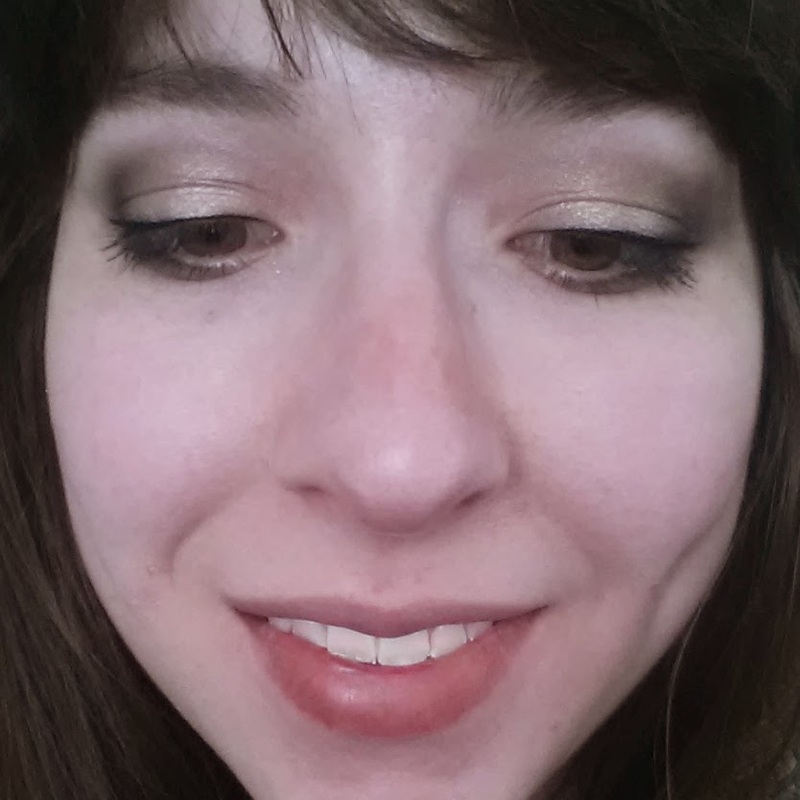 I must admit, I internally rolled my eyes a bit when I saw it, thinking "Yeah right, this Sephora must be behind on their Too Faced quota"... but then she did a very nice look on me with it (see crappy phone picture below, featuring my old nose ;)), and I figured, why the heck not, let's try this out. So I bought it. I quite literally use this palette every. single. day. I'm obsessed. It's so versatile - mattes, satins, shimmers - and all in really beautiful, buttery soft colours with great payoff and pigmentation. Honestly the only shade I don't really use is Satin Sheets, and that's purely a "looks weird on my skintone" issue and certainly not a knock to the quality. As you can see, the palette is broken up into three "looks": Day, Classic, and Fashion. I tend to mix and match, not really sticking to those categories, but I like the thought behind it... 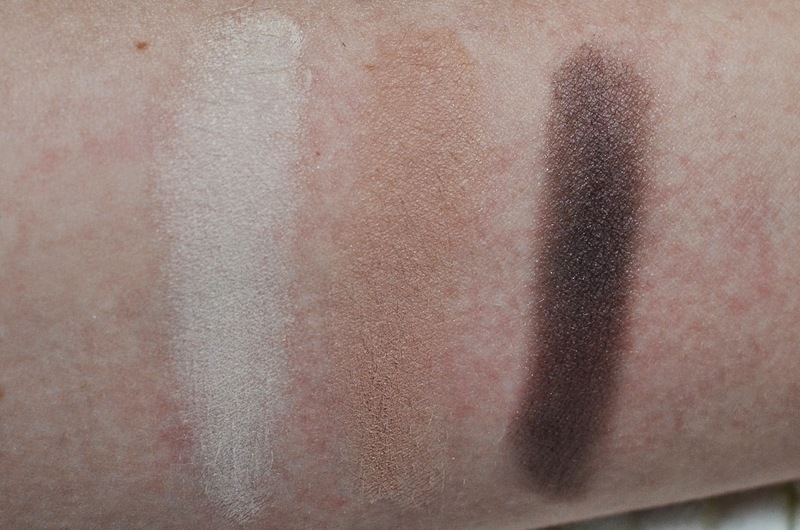 The bigger colour being the "base" for the lid and highlight, while the smaller colours are for the crease and the outer V area. If you're a beginner, it's pretty foolproof! 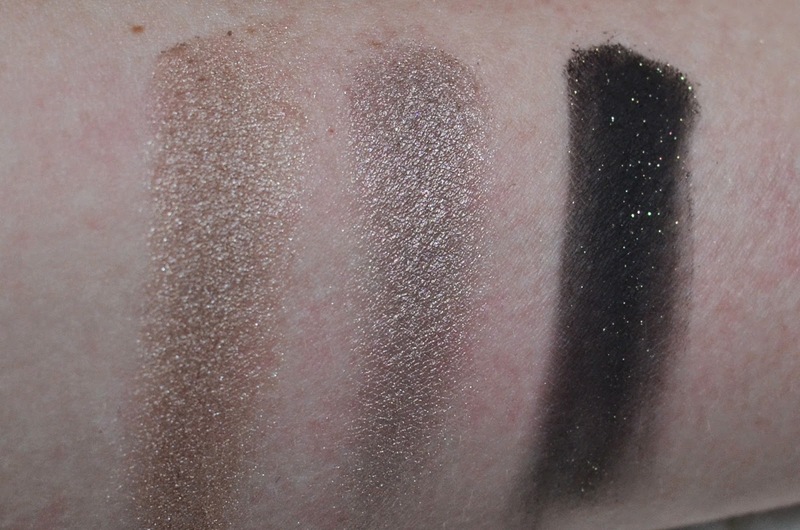 For greater ease, the swatches below are broken down by these three looks, from top to bottom, left to right. See how beautiful all of these colours are? 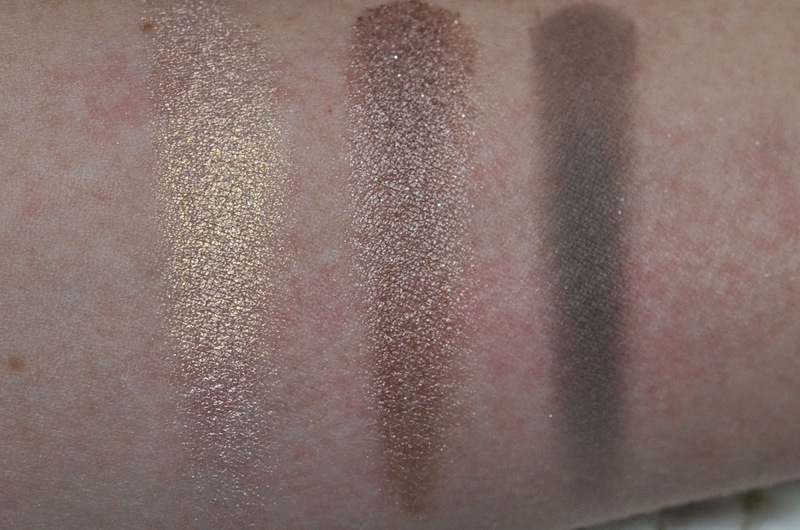 My main favourite shades are In the Buff (amaaaaazing highlight on my pale skin! ), Birthday Suit, Lap Dance, and Voulez-Vous. But really, all of them get a lot of love. 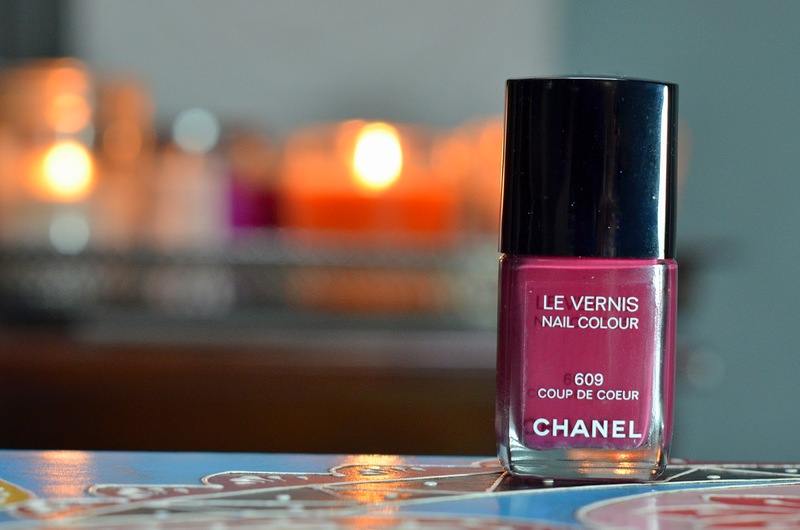 This palette is phenomenal - 5 stars, 2 thumbs up, whatever you want to call it. I highly recommend. I've been on a bit of a tear accessories-wise lately - for some reason, I have been helpless in the face of pretty, sparkly things. Even though I have quite the trove of pretty, sparkly things already. But these are sparkly in a different way, I tell myself. This is the sparkliest, I say. You're in New York City, buy something pretty from Tiffany & Co. on 5th Avenue, I encourage, you'll be just like Holly Golightly. So I did. The likeness to Holly Golightly/Audrey Hepburn remains debatable, but I did indeed make a purchase at the Tiffany & Co. on 5th Avenue. 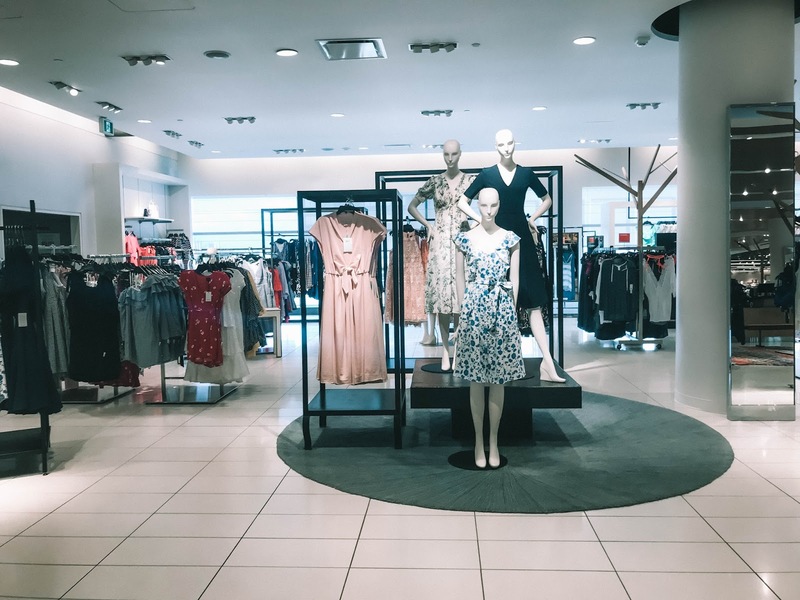 It was my first time inside, and I would certainly concur that nothing very bad could happen to you there (except maybe a load of credit card debt). I've been obsessively stalking this piece for what feels like years. Elsa Peretti's Diamonds by the Yard. It's my first diamond, and while very small in terms of karats it's very sparkly and quite perfect. The length is absolutely spot-on, 17" if I remember correctly, and the way it lies - sometimes slightly askew, sometimes perfectly centred - is incredibly chic. The chain is so fine and dainty, and goes perfectly with the size of the diamond. Something a bit random that I love is that since the diamond is fixed to the chain, the clasp rarely swings around for an awkward appearance. It's quite wonderful. I can't wait to layer this necklace with some of my other dainty pieces. I think it will go especially well with my "C" initial necklace from Little Glamour on Etsy. My most recent Etsy purchase - which is still in the mail - was made with this necklace in mind. So, layering is definitely going to be a thing this spring. While in NYC I also paid a visit to one of my favourite "gaze-longingly-at-everything-but-balk-at-the-prices" stores, which is Anthropologie. So many things in there are so absurdly expensive, so as usual I made a beeline straight for the sale room. 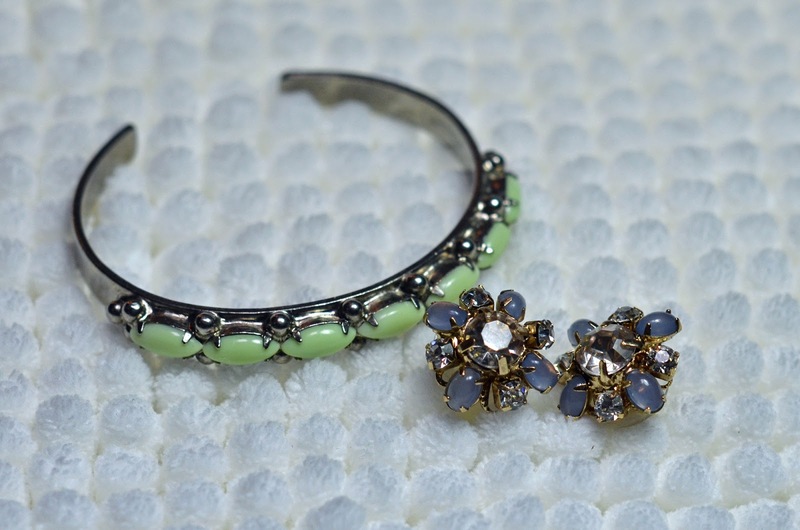 After some intense rifling around, I found a lovely silver cuff with some springy green stones (link!). And how about that, it's small enough for my freakishly skinny wrists! I also spent some time at the regular-priced jewelry rack - very tempted by the Bauble Bar x Anthropologie collection - and came away with a pair of sparkly earrings from the regular line that weren't too obscenely priced (link!). They're really quite lovely, but I'm going to have to rummage through my collection to replace the backings, which are completely useless. In a span of about 15 minutes, both of my earrings fell off. Not very impressed. Like I said, I have an Etsy order on deck - tracking says it's in Mississauga, so it should be here in a couple of days, max. I really do need to make an effort to wear more of the jewelry pieces I already have, though. I have SO MUCH STUFF. You honestly wouldn't believe it. So I think I will have a rule that every day I must wear something I haven't worn in a while. I hope I can keep it up. Labels: accessories, Anthropologie, dainty, Etsy, jewellery, jewelry, Tiffany & Co.